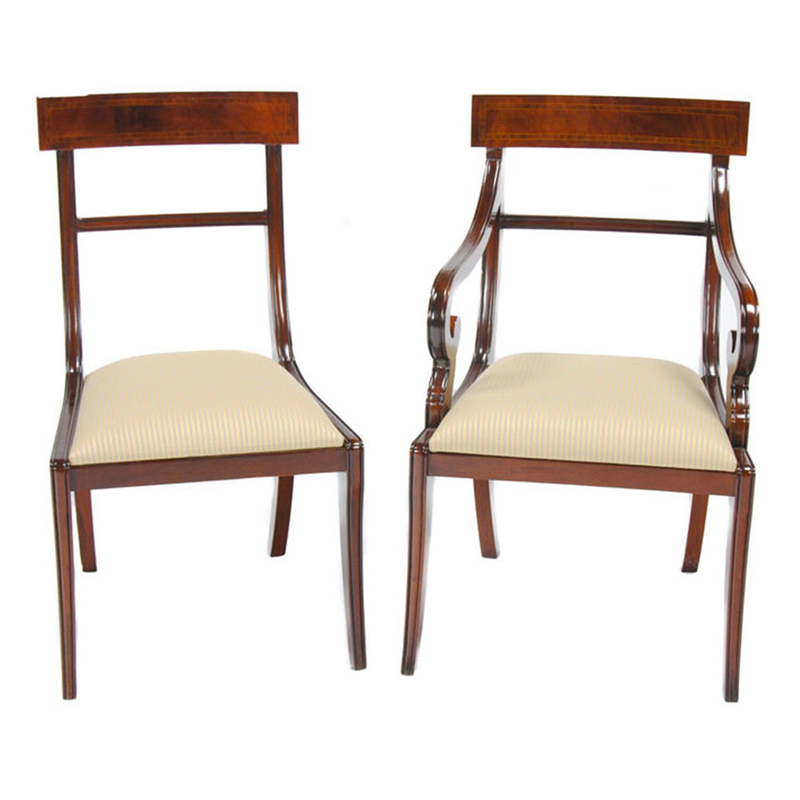 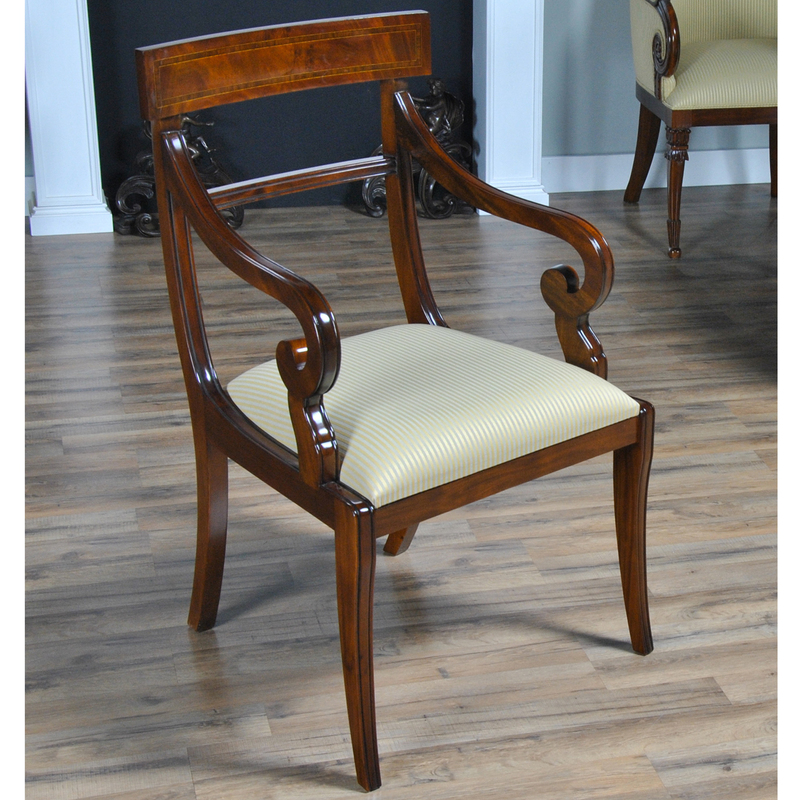 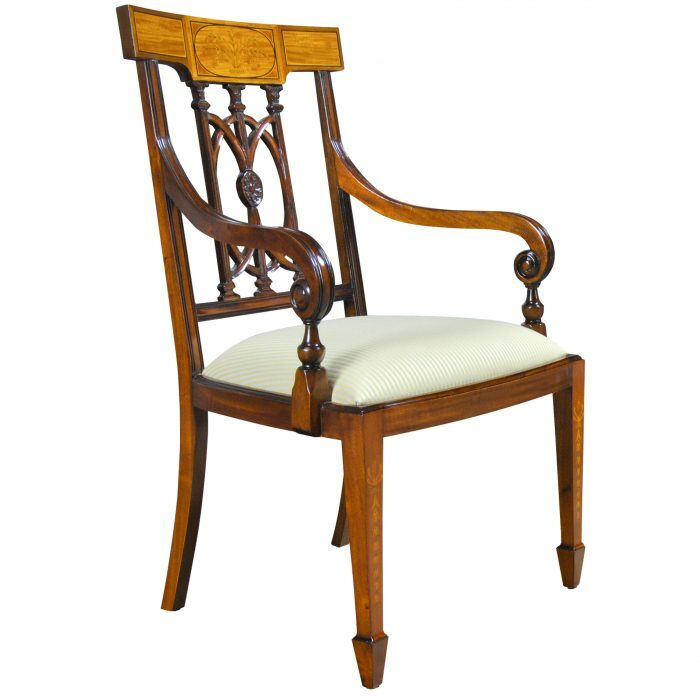 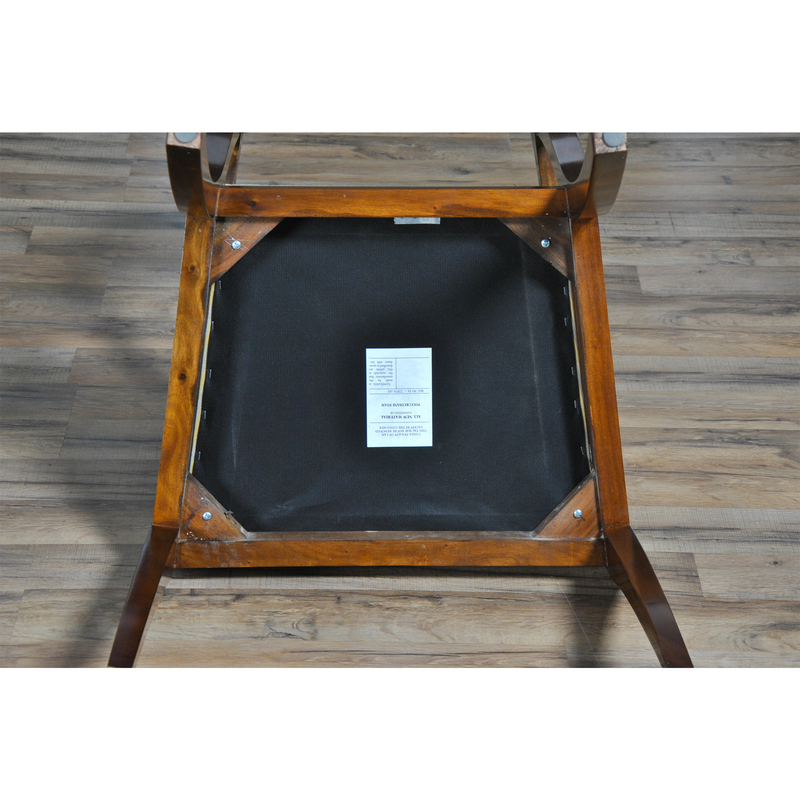 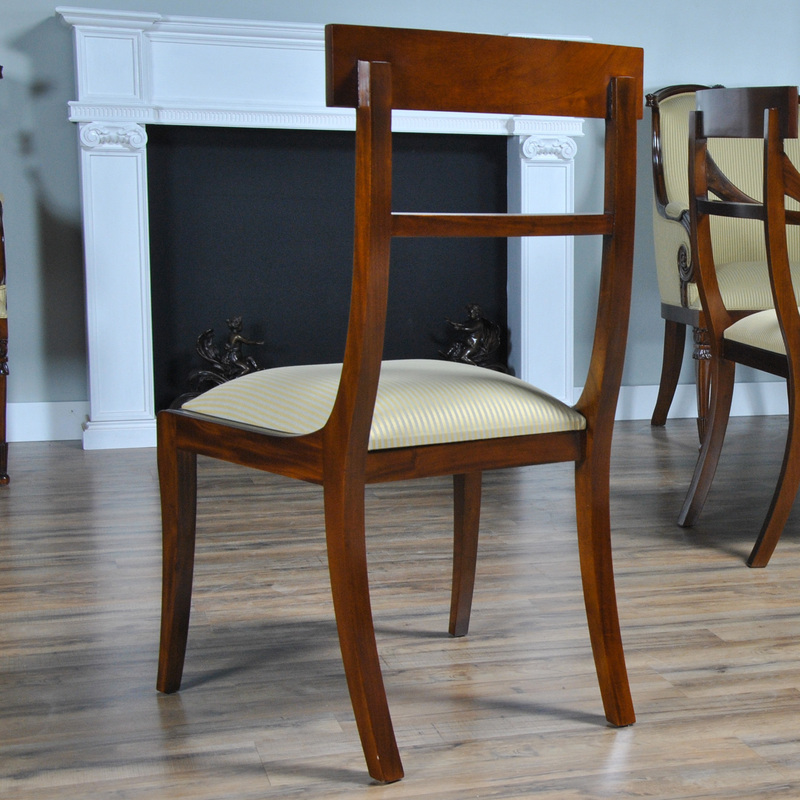 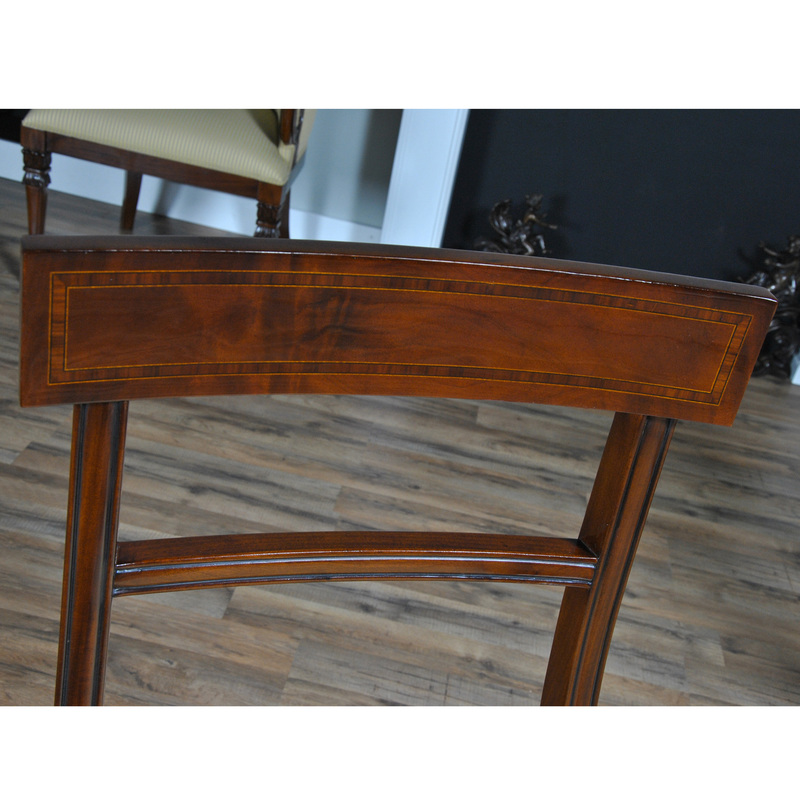 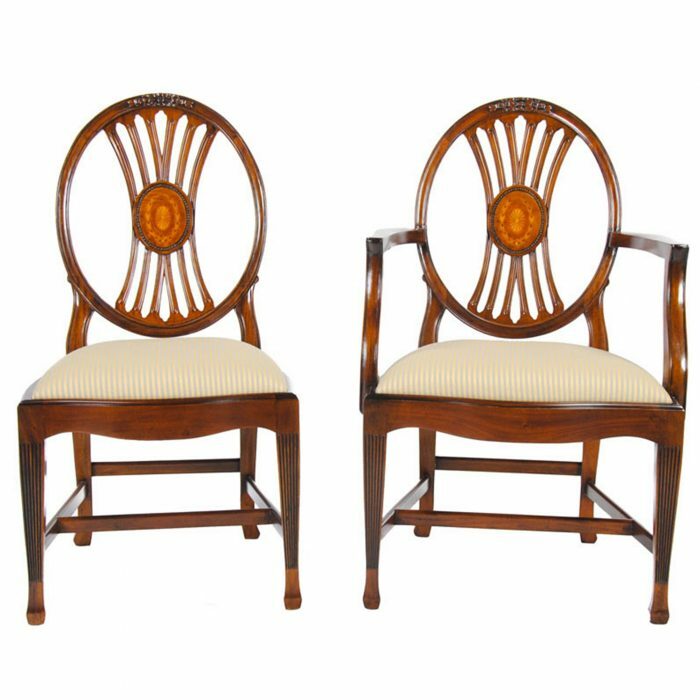 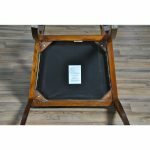 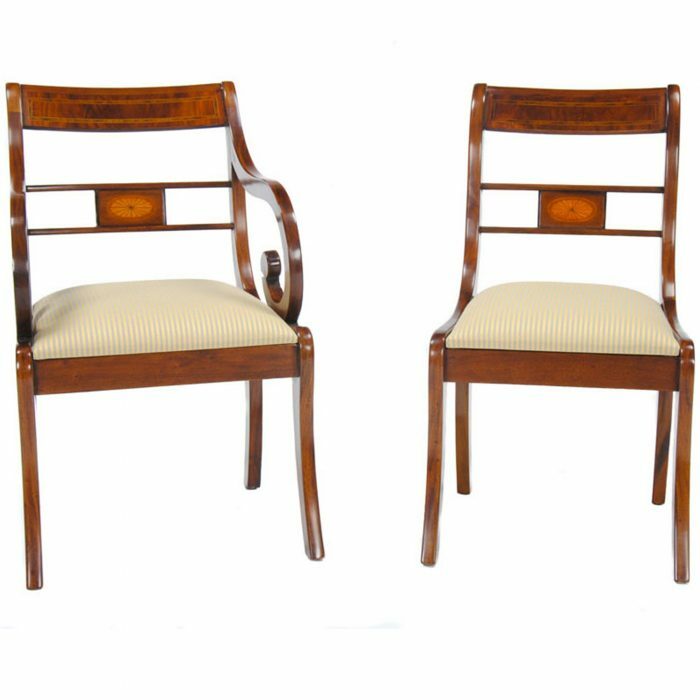 An outstanding example of a set of 8 Regency Inlaid Chairs, produced by Niagara Furniture. 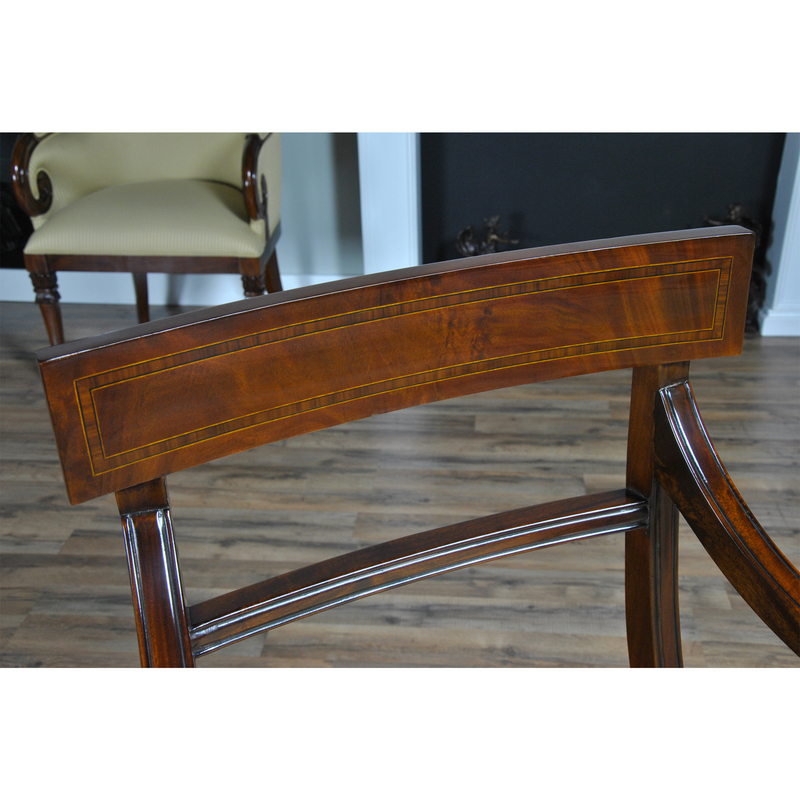 The curved and inlaid crest rail is visible above the dining table makes this a beautiful addition to your dining room. 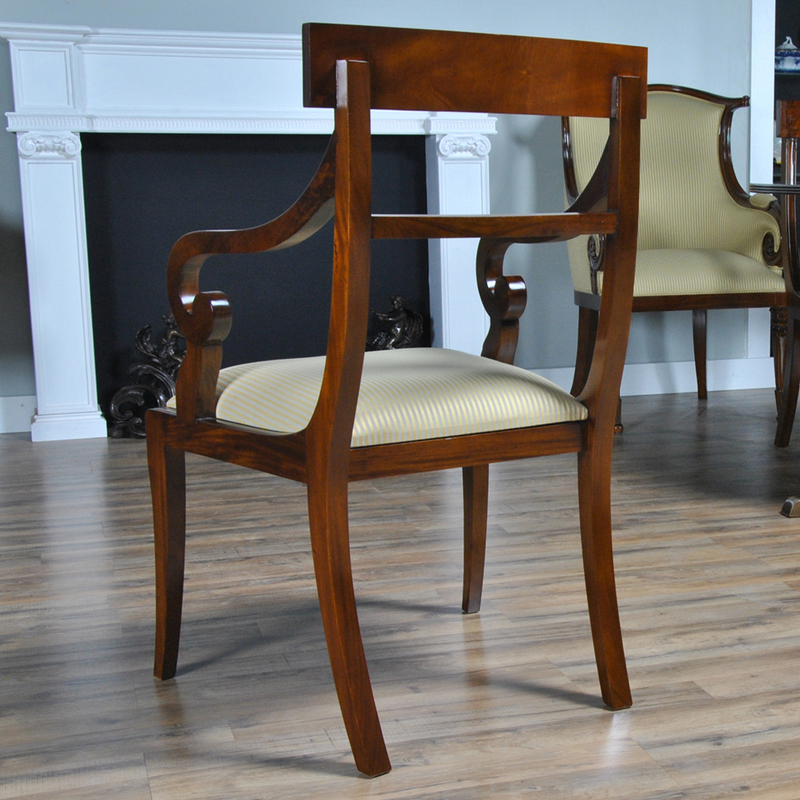 Sweeping saber legs, scrolled arm rests and a drop in seat work together to complete a picture of luxury and comfort. 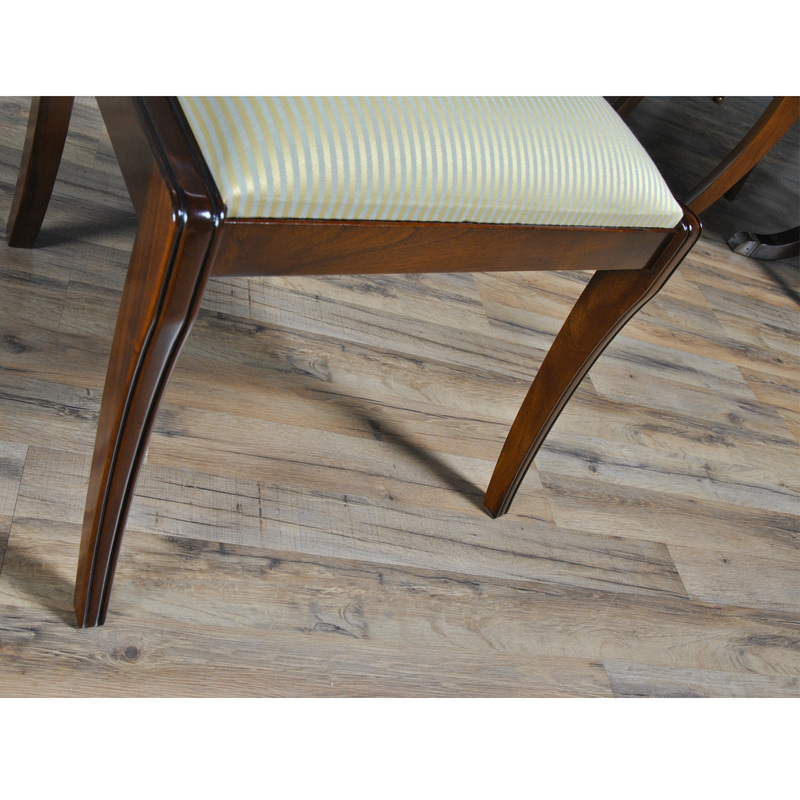 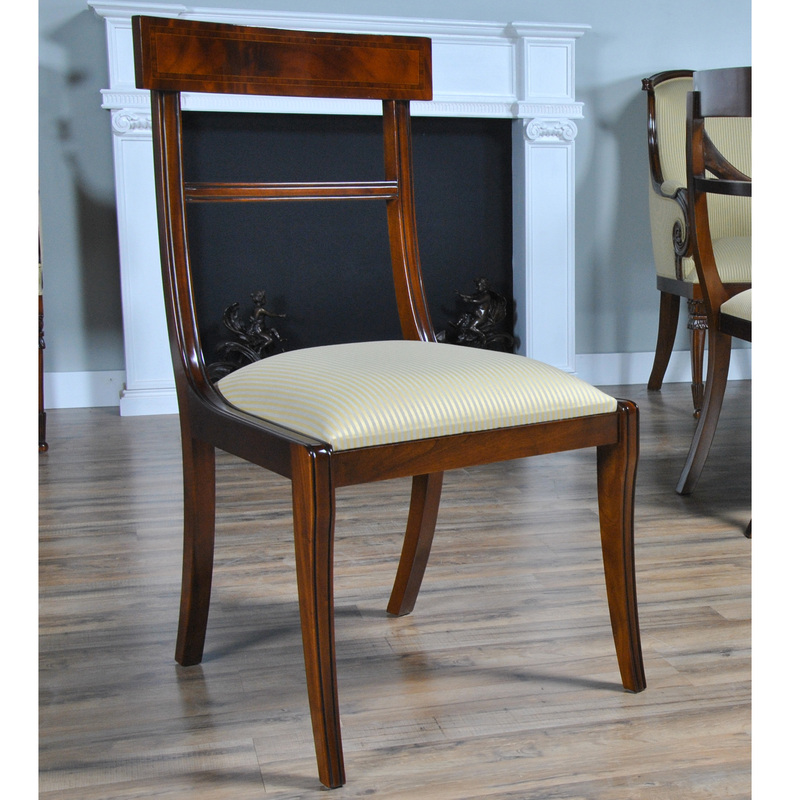 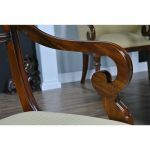 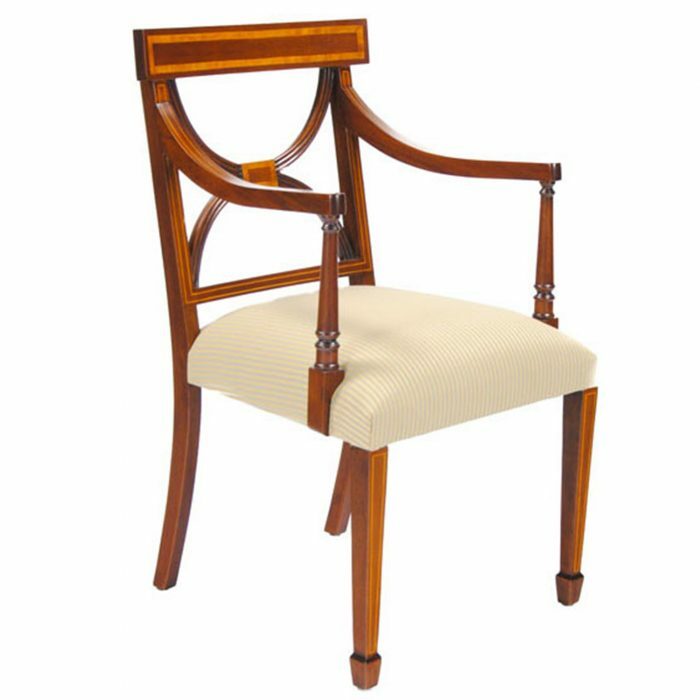 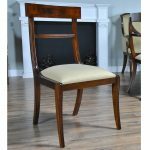 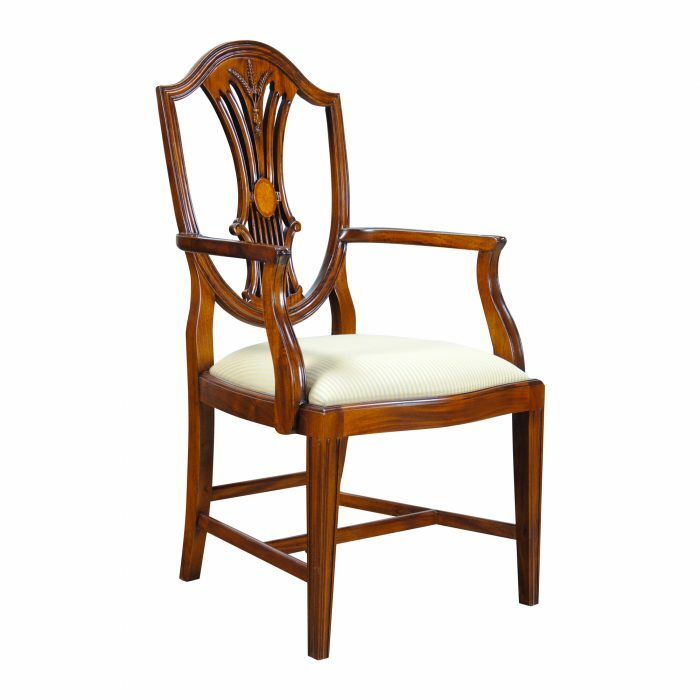 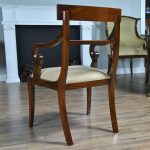 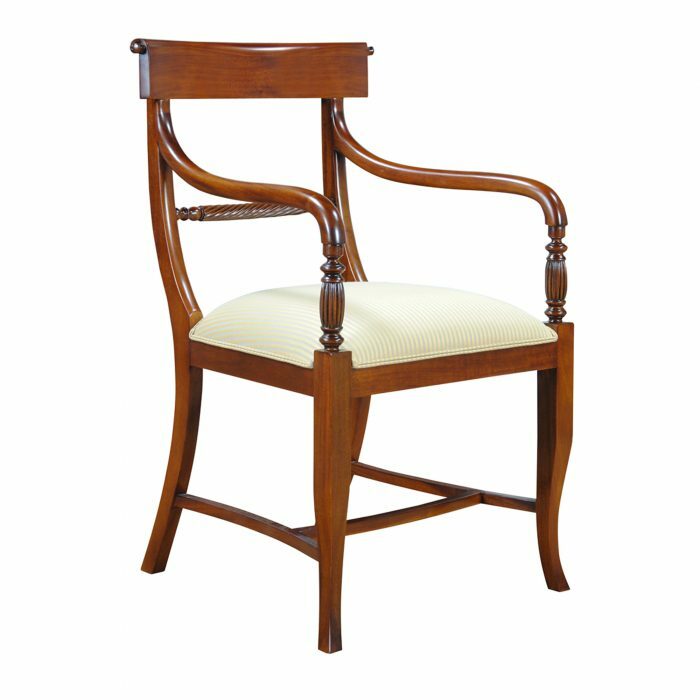 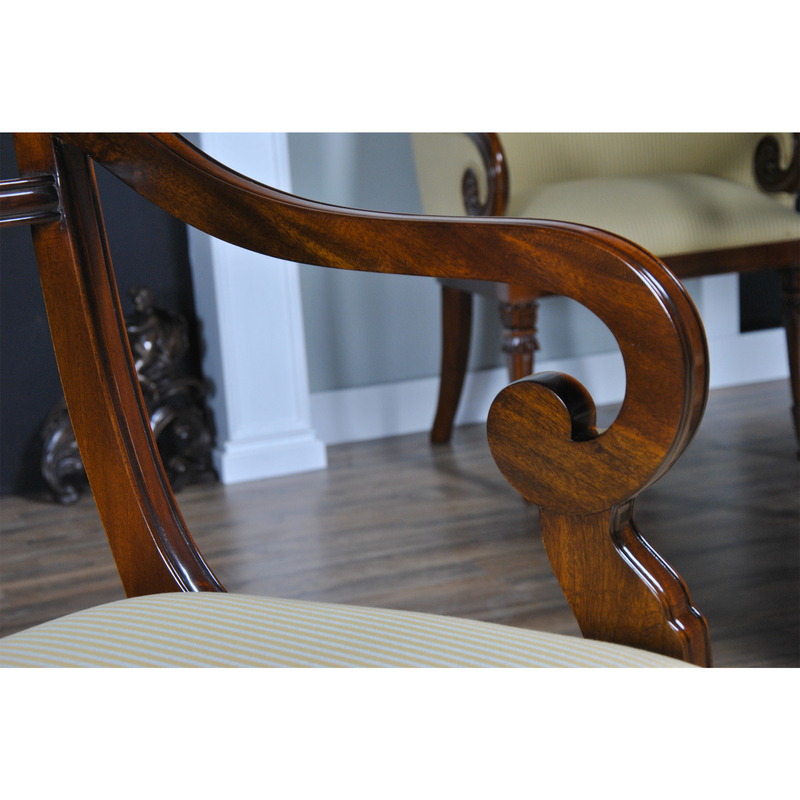 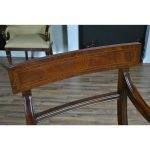 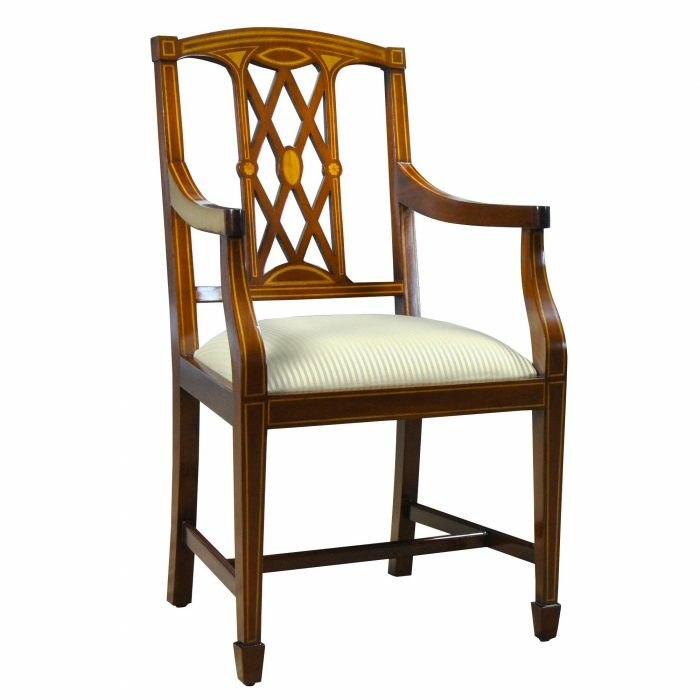 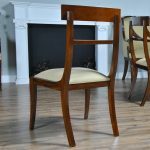 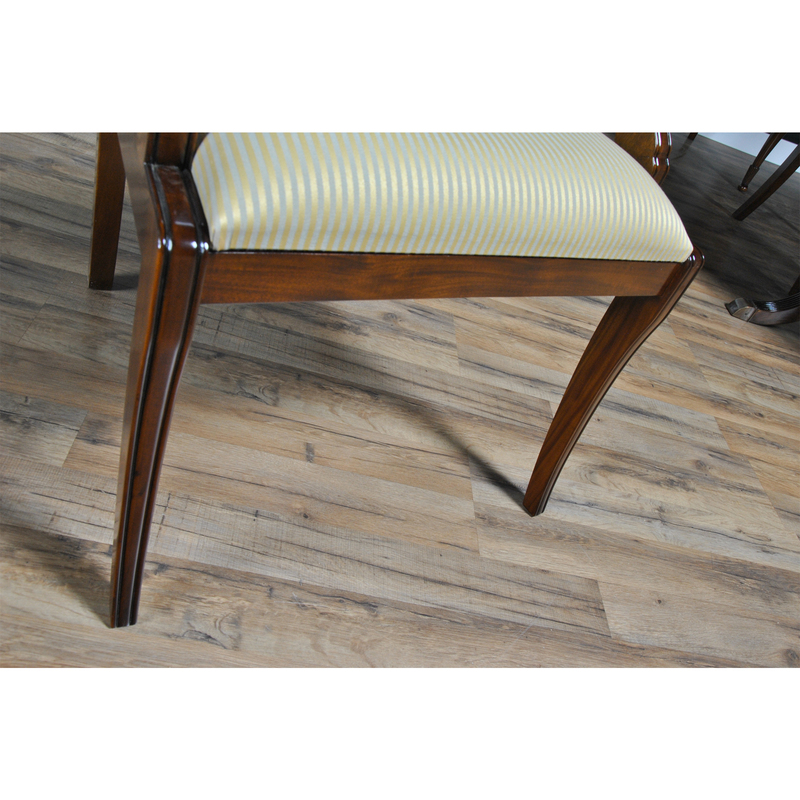 Simple in design at first glance the curved and inlaid crest rail adds an element of detail and charm to this set of eight chairs overall appearance. 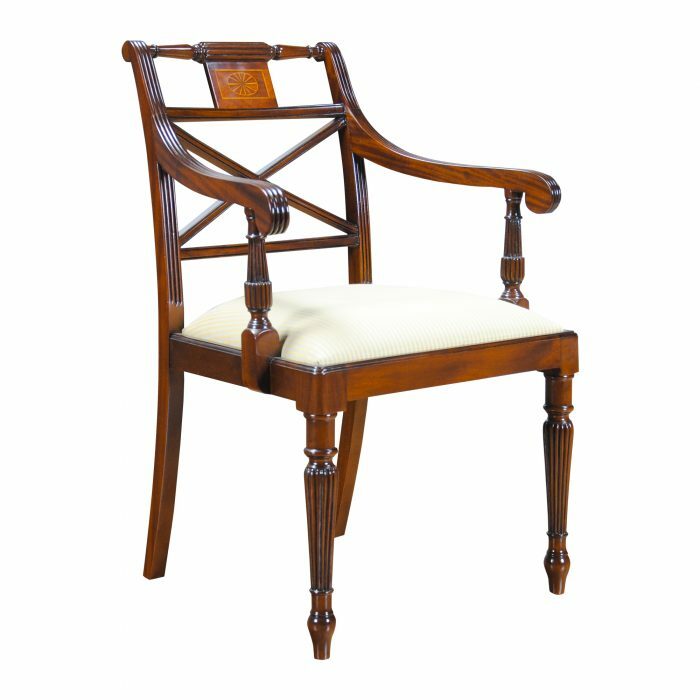 Arm Height approximately 29.5 inches and seat height approximately 20 inches.